Did you ever wonder what grandparents really got up to when they were younger? Have you ever seen a Mexican Barking spider? Do you know who the first man to walk on Mars was? Find the answers to all of these questions along with why so many N.A.S.A scientists are bald and just why American bridges are so strong, inside this wonderful new book. Warning: may contain rockets and scenes of a spidery nature. 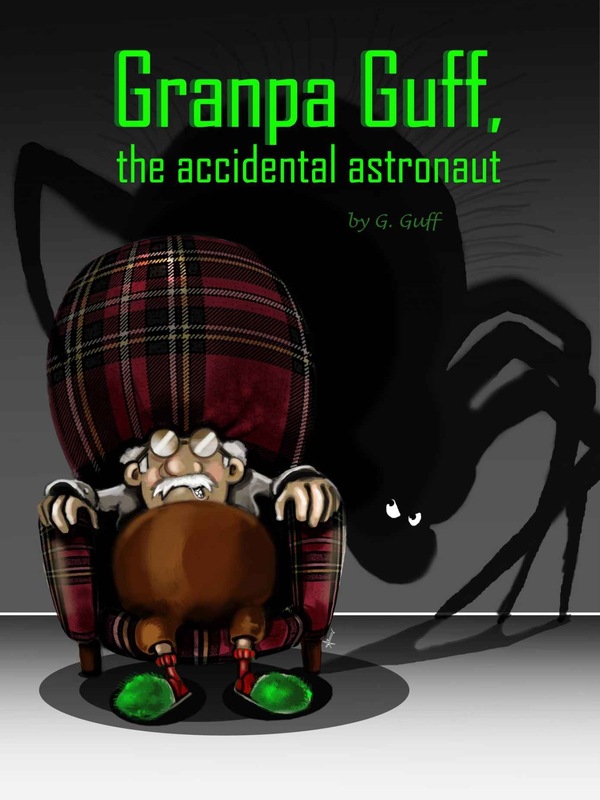 A highly imaginative and amusing tale about Granpa Guff and his close encounter aboard a NASA spacecraft in the 60s. When a misshap leads to Granpa and some hairy spiders visiting another planet not even the brainiacs at NASA are prepared. A tale tale and great colour illustrations for imaginative space loving minds.